As one of the millions of his fans around the world who wept upon learning of his death on April 21, I’m still struggling to come to grips with Prince’s passing. The outpouring of condolences and appreciative gestures has been striking, including those from government officials. Minnesota Senators taking time on the senate floor to read a resolution honoring the artist, and pausing their busy schedules for a moment of silence indicate genuine respect and adoration for the departed. But the so-called “PRINCE Act” should not be counted among such respectful responses. It’s more of a perverse and ironic appropriation of his persona. The bill is purportedly designed to protect Prince’s heirs and his estate by preventing unauthorized posthumous use of his image, name and other aspects of his public persona to make money. But if passed this bill would likely have the opposite effect. In fact, there are several signs that the PRINCE Act has hardly anything at all to do with protecting any artists. The first indicator of this bill being designed without concern for Prince is apparent in its very name. A superficially clever acronym for “Personal Rights In Names Can Endure,” the title actually does exactly what the law it names is supposed to prevent: commercially exploit an individual’s name without that individual’s consent. According to the Minnesota legislators that introduced and sponsored the bill, Republican Representative Joe Hoppe and Democratic-Farmer-Labor Party Senator Bobby Joe Champion, it’s prompted by Prince’s death and would protect his persona. Considering the history of these key players, it is clear that the likelier beneficiaries of the PRINCE Act would be professional sports teams in Minnesota. These organizations tend to control the publicity rights of their athletes, and those rights would become much more valuable if the bill passes. It may be no fortuitous coincidence that both Representative Hoppe and Congressman Champion were 2015-2016 members of the Legislative Commission on Minnesota Sports Facilities, a rather moribund body according to media accounts. This Commission is charged with protecting Minnesota taxpayers during the building of the new Vikings football stadium. More importantly, Mr. Hoppe and Mr. Champion’s committee service suggests that managing the financially critical relationship between the state and the professional sports franchises it hosts are infinitely more important than Prince’s estate, or that of any other Minnesota artists. 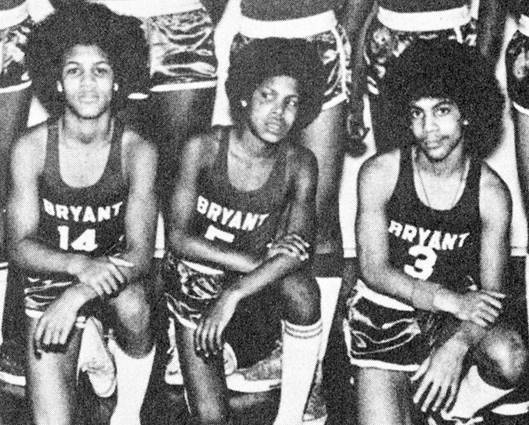 The law firm representing the special administrator overseeing Prince’s estate also has a strong connection to the professional sports industry. Take a look at Stinson Leonard Street’s own description of the scope of service of its “Sports and Entertainment Business” practice on the firm’s website. It lists major league sports teams, college coaches, NCAA member institutions, sports commissions and other sports related entities, but it does not mention anything concerning visual arts, performing arts, theater, film, photography or any other artistic domain one would expect a law practice genuinely concerned with arts and artists to cover. Despite all the media headlines that claim the bill would protect Prince’s legacy or “artists’ rights,” it seems likelier that the interests of Big Sports will benefit. But, for true Prince fans, the worst thing about the PRINCE Act is that it may have already done irreversible damage to Prince’s legacy. Because right of publicity laws are state-based, they’re also subject to being limited by the U.S. Constitution. First Amendment protections for free speech are strongest when the relevant speech concerns political figures or matters of public concern. By appropriating Prince as the effective mascot for their effort to get the PRINCE Act passed, the legislators have effectively turned Prince into a political figure, at least for constitutional law purposes. Prince is now intimately associated with publicly debated matters of policy and law. As a result, his name and his image are now fair game for political speech concerning those matters. And, unfortunately, such speech can take the form of t-shirts, mugs, bobble-heads dolls, ink pins, baseball caps, life-size standing poster figures and most other forms that have been used to express political views. In effect, supporters of this bill have very likely irreparably harmed Prince’s persona by opening the gate to unauthorized uses of his name, image and voice. PRINCE Act backers are rushing to pass this bill, and for good reason. They know that if Prince fans see these signs, they’ll stop it.